CLAT 2019 Application Form has been released form 13 January 2019. 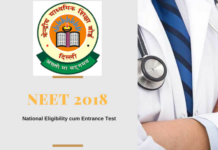 CLAT 2019 (Common Law Admission Test) is one of the famous National Law Entrance Exams that is conducted by 18 National Law Universities (NLUs) on a rotational basis. National Law University Odisha NLUO to conduct CLAT 2019 Examination. It is an All India Level Law Common Entrance Examination for the students aspiring to seek admissions in Integrated LL.B. and LL.M. program. The Common Law Admission Test takes place on Second Sunday of May every year. 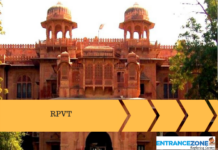 Various private law colleges and government undertaking law colleges across the country consider CLAT Scores for offering admissions to the aspirants. 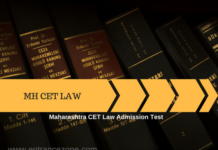 The aspiring candidates must read the below article for complete and detailed information related to CLAT 2019. Students can seek admissions into integrated programs like LL.B. and LL.M. The exam of CLAT 2019 will be managed by the National University of Advanced Legal Studies. In 2019, National Law University (NLU) Odisha will conduct the CLAT 2019 – Common Law Admission Test. CLAT Core Committee Consortium at National University of Advanced Legal Studies, Kochi announced this decision. To know more, visit the official website. Link for the same is given below. 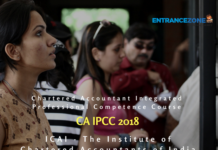 How to check CLAT 2019 Result? Application Form for CLAT 2019 has been started from 13 January 2019. NLU, Odisha has announced CLAT 2019 Exam Dates on January 13, 2019. 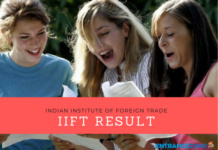 The Exam will be conducted on 12 May 2019 at 3.00 PM. The Common Law Admission Test case in Supreme Court to be heard after Diwali break, MHRD submits a report. CLAT to go offline from 2019 due to technical glitches faced this year. Given below are the steps to fill the application form of CLAT 2019. Follow them to fill it. Firstly, the aspirants can fill the application form of CLAT 2019 only through online mode. Also, the online application form is available on the official website of CLAT 2019 from 13 January 2019. Firstly, the applicants need to register themselves on the website by making a LOGIN account using their E-Mail ID. The students also need to fill their preferences for National Law Universities while filling the online application form. The aspirants also need to upload their recent signature and photograph (30 mm X 45 mm) with the maximum permissible size of 100 KB. The applicants need not send any hard copy of the complete online application to the office of CLAT. 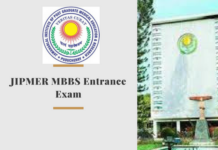 Age Limit for UG course: The maximum permissible age limit of the applicant be less than or equal to 20 Years (as on 1 July 2019) (for Unreserved / Non-Residential Indians / Non-Residential Indian Sponsored Candidates) and 22 Years (Scheduled Castes / Scheduled Tribes / Other Backward Classes / Specially Abled Persons). Age Limit for PG course: There is no maximum permissible age limit that is prescribed for Post Graduate Courses. Qualifying Marks: For Undergraduate the minimum necessary marks are 45% (40% for Scheduled Castes / Scheduled Tribes). And for Postgraduation The minimum necessary marks are 55% (50% for Scheduled Castes / Scheduled Tribes). Qualification Criteria: Following are the qualification criteria for UG & PG course. Under Graduate The candidates who pass 10 + 2 or equivalent examination are eligible for the application. The aspirants appearing in the qualifying examination in the month of March 2019 / April 2019 will also be eligible for the examination. But, these candidates need to provide their proof of passing the qualifying examination at the time of admission. Post Graduate The candidates who have completed LL.B. / Five Year Integrated LL.B. (Hons.) / Equivalent Examinations will be eligible for application. The aspirants who are currently appearing in Final Semester Examination / Final Year Examination will also be eligible for the examination. Stay tuned to entrance zone for more updates and information related to CLAT 2019. The Common Law Admission Test 2019 syllabus of UG courses will include the following sections, i.e. English consist of Comprehension, General Knowledge, and Current Affairs, Mathematics, Legal Aptitude & Logical Reasoning. 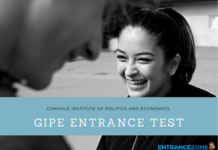 For PG courses, applicants can study from these sections, i.e. Constitutional Law, Jurisprudence & Other Law Subjects. English including comprehension It consists of comprehension passages and grammar like the meaning of words used therein, understanding of the passage, fill up the blanks in sentences with proper words, correction of incorrect grammatical sentences, etc. General Knowledge & Current Affairs It consists of general awareness like static general knowledge, questions on national and international current affairs, etc. Mathematics Mathematics test will check the applicant’s knowledge of elementary mathematics(studied in class 10th). 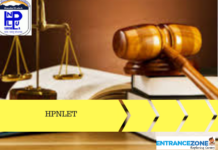 Legal Aptitude Legal Aptitude test will be judged to check interest of applicants towards the study of law, problem-solving ability, legal propositions (given in the paper), research aptitude etc. Logical Reasoning It consists of syllogisms, logical sequences, identifies patterns, rectifies illogical arguments, logical links, analogies, etc. 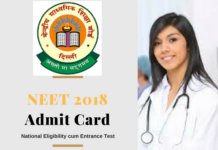 Common Law Admission Test (CLAT) 2019 Law candidates will get access to the admit card in online mode tentatively on 20 April 2019. Applicants will be required to login to their registered accounts to download Common Law Admission Test 2019 Admit card. It is very necessary for the law candidates to carry their Hall Ticket at the examination center of Common Law Admission Test. 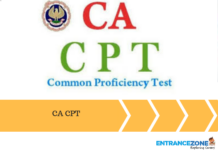 Entry is prohibited without the CLAT Admit Card in the Examination Hall. Moreover, applicants are also advised to check all the information mentioned on the CLAT Admit Card. 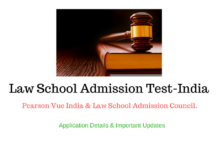 It is also advised to download and take a copy of Common Law Admission Test 2019 Admit card for future references. 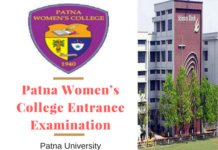 NLUO Cuttack will declare the result of Common Law Admission Test 2019 tentatively on 31 May 2019. Applicants will get access to the CLAT Result in online mode. 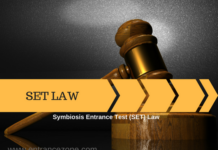 Firstly, candidates need to go to the Official website of Common Law Admission Test (CLAT) 2019. Secondly, to check CLAT Result 2019, applicants will have to fill a registration number or roll number along with the DOB (date of birth) to download their CLAT Result 2019. Finally, after the announcement of the result, applicants will be called for the counseling and admission procedure. National Law University Odisha (NLUO) Cuttack will issue the cutoff of Common Law Admission Test 2019 after the announcement of the result. It should be noted that CLAT Cutoff 2019 is considered as minimum marks to be secured by applicants for admissions into the NLUs. Moreover, Applicants need to know that the CLAT cutoff is also assumed to be the last rank by which an aspirant is shortlisted for counseling and admissions to the undergraduate law programmes. The candidates can these exams as almost qualification is the same. 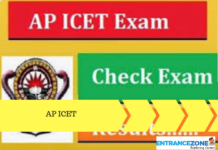 clat 2019 syllabus, clat 2019 form, clat 2019 age limit, clat 2019 fees, clat 2019 notification, clat 2019 registration, clat 2019 dates, clat 2019 registration date, clat 2019 form date.